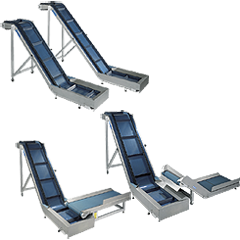 Busch manufacture dedicated conveyors for all well-known finishing machines which produce cut waste. The waste is conveyed from low level into a bin. Additional cross conveying elements add to the efficiency of the finishing operation.